There is a hilarious site called Shut Up and Take My Money that peddles unusual gadgets and such. Not all of which are suitable for work, so if you are reading this at school I suggest clicking on that link when you get home. 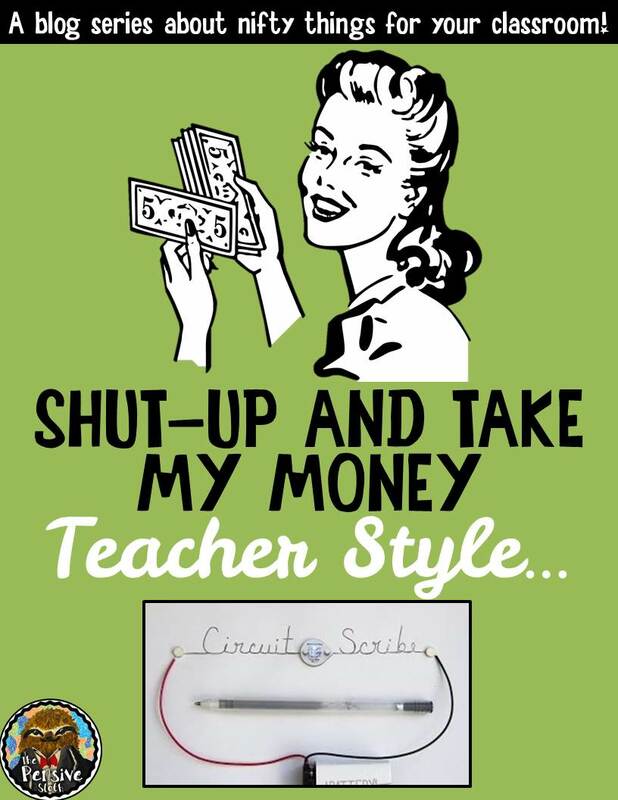 Well, here’s the first in a series of a teacher-style version of classroom must-haves! Somehow I happened upon this YouTube video for a product called Circuit Scribe. Then promptly checked out their Kickstarter page. They raised almost $700,000 dollars!!! But… the product won’t ship until August. Boohoo! You can pre-order here. Basically, it allows you to draw circuits that work. Imagine the many ways you could use this in your science classroom. Talk about STEM! You should know that I’m not patient, so I found something similar on Amazon that I can play with until I get my Circuit Scribe! I ordered this $10 pen that contains nickel instead of silver and I can not wait to give it a try. I should probably go buy some watch batteries and LED lights. I’ll come back and share the fun when it arrives. UPDATE: While this is a really cool product, I don’t see it being affordable enough for regular classroom use. After playing with it myself for an evening (I was very impressed), I realized that this could get costly with a group of 5th graders and opted to go with a different circuit activity at school. It required some major problem-solving on my part, with trial and error as I figured out how to fold the paper just right so the positive and negative sides of the batteries connected to my hand-drawn ‘wires.’ I could see middle and high-school students really thriving with this, but my little elementary guys would need to use a lot of ink for their trial/error sessions, and it’s a little pricey for my tastes because you’d have to replace the pens every year. Perhaps if you wrote a grant? Laptops are in short supply around school. It’s the end of the year and everyone is in project mode trying to finish end of the year research and such. Our final read-aloud for the year is “You’ll Like it Here, Everybody Does” by Ruth White and it’s a mish mash of aliens, adventure, and utopian societies. What fun! Strange start. Stranger story. A school librarian highly recommended this book to me, and I’m trying it as a read aloud. The kids are loving it! 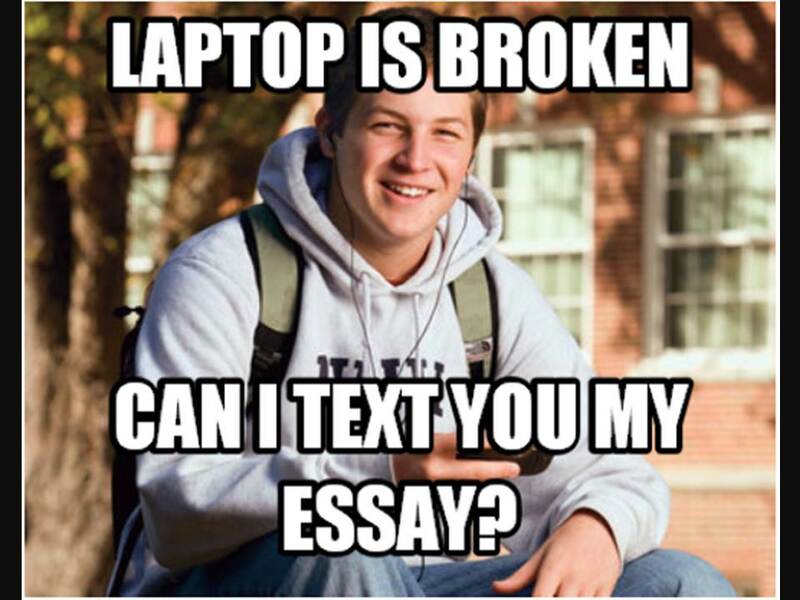 ME: Are you…texting your essay? ME: Wouldn’t it be easier to wait to type on the computer after you’ve written it out? STUDENT: Nope. I’m much faster with texting than typing. ME: Ok. Good luck! Let me know if you change your mind. Maybe look over it later before submitting? And that’s it. I’m in my early 30s and consider myself pretty tech-savvy, but I didn’t grow up as one of these digital natives. It would have driven me crazy to text-type my essay! For this student, it was natural. He didn’t miss a beat. By the time he got a computer, he had already typed the essay and just had to do a few format fixes. The essay was pretty good, too! What have you spotted your digital natives doing lately? NOTE—The songs are totally cheesy! I know this and so do my students. Just go with it. They’ll love it. Sometimes to remove the “I’m too cool to enjoy this” factor I tell them that I have found THE cheesiest song about the planets (or whatever you are teaching) in the history of mankind. I play the song and they usually agree. But, they also ask to hear it again! Do you want your students to go home and study, go home and share what they have learned, or at least think about what you’ve done in class that day? Consider using a song or rap from YouTube related to the concept you are teaching. Why it works– Many kids have access to YouTube from smartphones, tablets, pcs, home computers, and even streamed through a TV! All it takes is playing the song a few times in your classroom to get them hooked. There’s something about music that makes learning memorable. I usually play the songs while we transition from one subject to the next or as a reward while we pack up at the end of the day. I then add the link on my class webpage and let the magic happen! Your students will most likely spend some time online when they go home and may just revisit the video you shared in class. The brain loves novelty and variety. 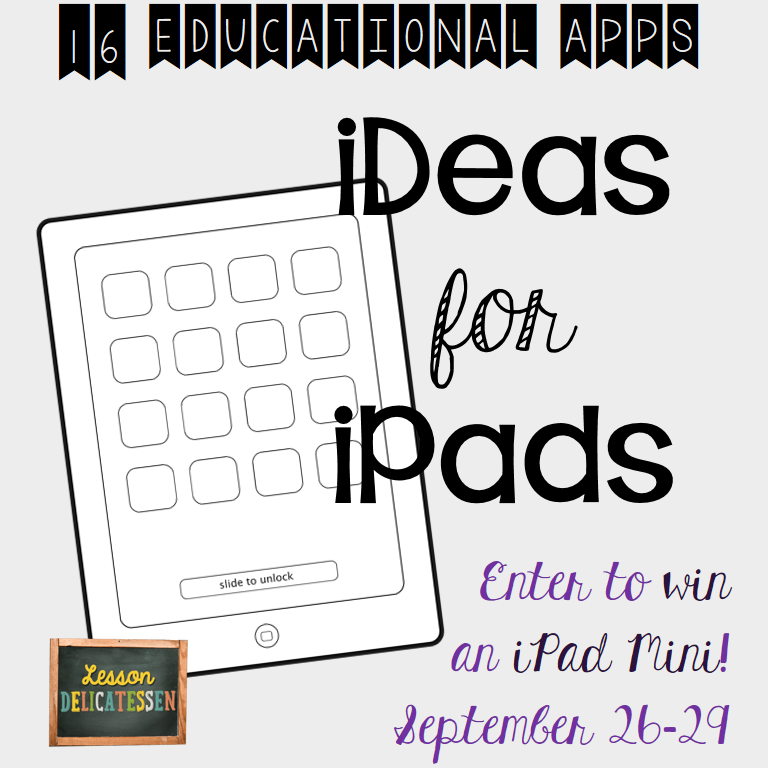 Want to make your lesson a little more engaging and unique? 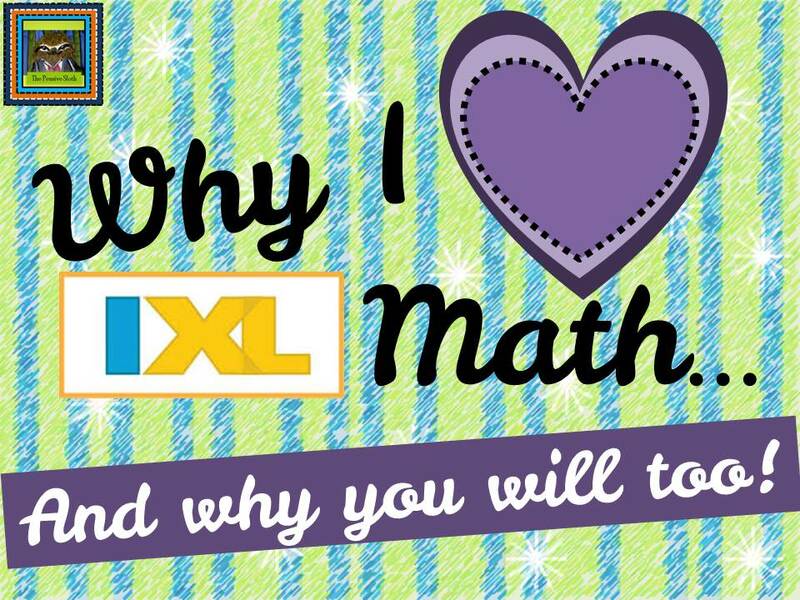 Find a video clip of what you are teaching that day in math to start your lesson or review. Why it works—Today’s students are tuned-in to technology and a 2-3 minute clip at some point in your lesson adds a little variety. Not only do they get to see a strategy twice (once from you and once from the video), they are seeing it from someone else. Plus, adding the link to your site gives students something to refer to should they need a refresher or if they were absent. When I introduced fractions recently, this was really helpful! I’ve even used a REALLY good YouTube video as my whole lesson before…but that’s for another post and is a little harder to do effectively. 3—This one is just for fun…Dance Breaks! Sometimes we just need a little break during the day, especially if you are self-contained like me. Early childhood teachers know this and frequently use music and movement with Dr. Jean and Greg and Steve songs. Our older students love to move as well and they REALLY love listening to their favorite tunes. Now, I use dance breaks as a reward quite often, and it works great if you use Whole Brain Teaching’s Scoreboard in your classroom, so consider using a “Just Dance” type video to add some fun and give your kiddos a chance to get their wiggles out! Why it works–It works because it is fun. Students need to move. Teachers need to move. It’s healthy. It brings oxygen to the brain. It wakes you up. And much more! If you use it as a whole class reward, students also have something to look forward to when they finish an activity and have worked hard, followed directions, and paid attention as a class. I choose videos that show the steps rather than just listening to a song and dancing along for two reasons. First, using a dance video that shows the steps encourages your somewhat reserved students to participate because they can just follow along and not have to invent their own moves. Second, if you have students whose dance moves might be a little too…um… ‘inappropriate for school,’ you can tell them to stick with what is on the screen. Don’t worry if not everyone participates. I call it the wildfire effect, but each time you do a dance break, a few more kiddos join in! And those that done still enjoy listening to a popular tune and watching their friends get groovy! CAUTION– You must preview the videos from home before sharing them with your class. Let me say that again. Previewing the videos from home and really listening to the lyrics will keep you out of trouble. There are dance videos specifically for kids, but my students said “We’re not babies” when I tried to use some of those. They prefer the more popular songs that they hear on the radio, so you have to watch the WHOLE video and listen to ALL the lyrics at home before you use a song in the classroom. If not, well…not all music on the radio is classroom appropriate!